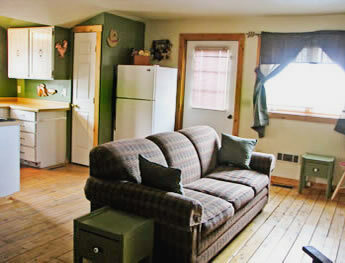 The Barnloft has both a front and a back deck where you can sit and enjoy the ranch views. 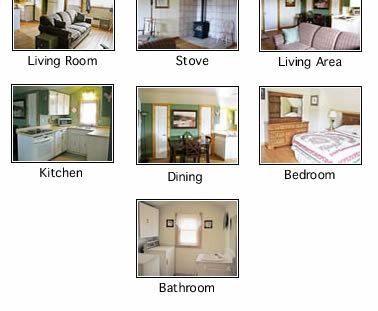 It is a furnished one bedroom, one bathroom log home with large open spaces and wood floors throughout. The kitchen, dining, and living areas are all open to each other with a barn style ceiling. The main focus in the living area is a free standing stove which warms the Barnloft efficiently during the winter months. The cabin has central air conditioning for the hotter months. The large bath contains a washer and dryer, shower/tub combo, and walk-in closet.